All of us have a favorite teacher we remember from our school or university days, and almost everyone can conjure fond memories of a teacher who, in some way, inspired us, was passionate about his or her job and was interested in our needs. The LikeAble team dedicates this article to exactly those teachers — people who know how to communicate with children and make the learning process engaging and fun. Thank you for being you! A student came to the lecture with her child because she didn’t have any money to hire a babysitter. When the child began to cry, the professor took the him from his mom, calmed him, and continued the lecture. The only thing you have to do is listen carefully. True professionals don’t accept any conventions. A teacher’s clock during an exam. A physics teacher explains the properties of liquids. An art teacher creates a new chalkboard masterpiece every day to inspire his students. A true professional will always find the way to draw a triangle. My teacher said if everyone in our class got excellent grades on our test, he would dress up as Scooby Doo and bring non-alcoholic champagne for us. We all tried very hard, and our teacher kept his word. 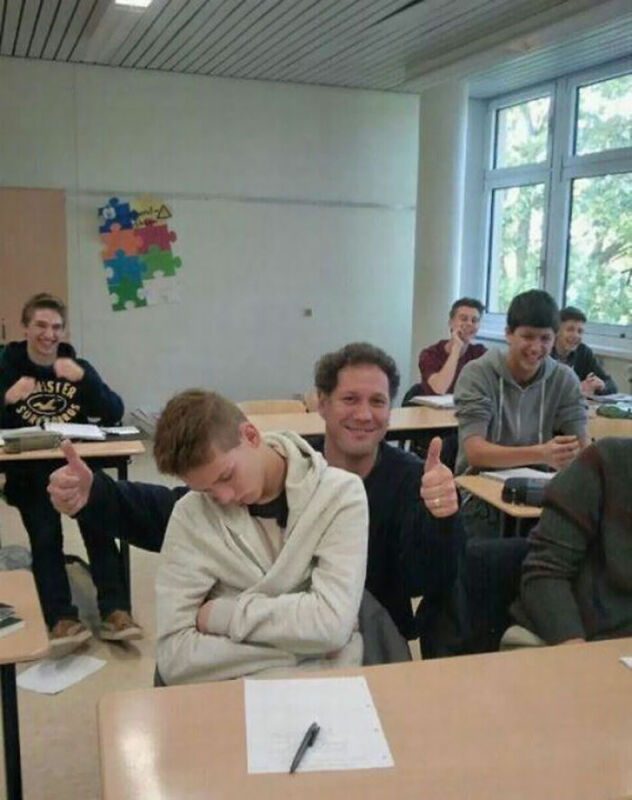 The teacher neither woke up the sleeping student nor criticized him, but he kept the class’ spirits high. This teacher found an abandoned stray kitten near the school. The lecture was interesting. A math teacher celebrates Pi Day. 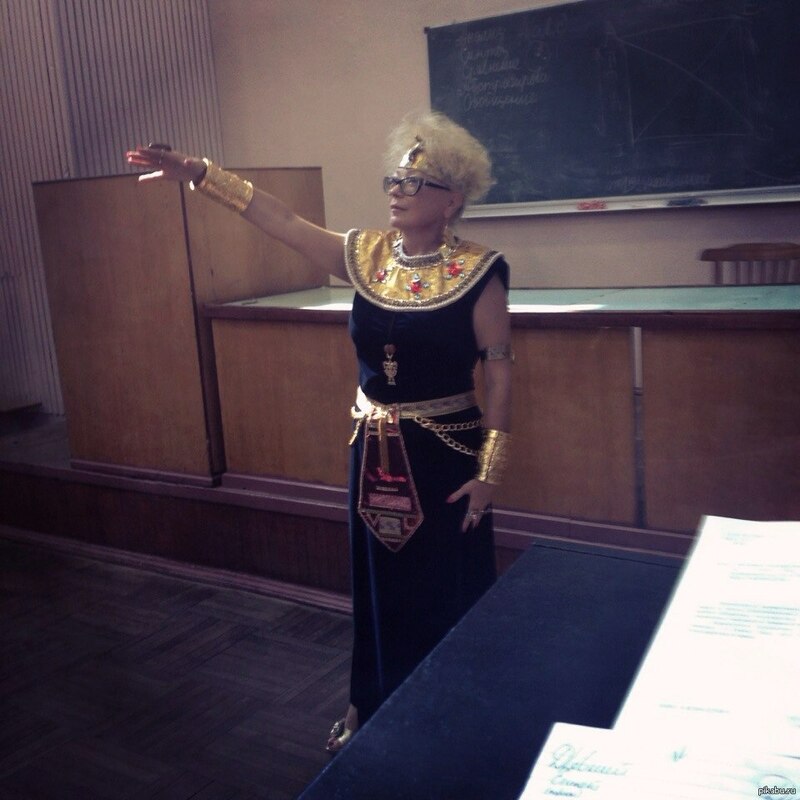 A physics teacher conducts an experiment. A teacher lets students express their creativity on her dress on the last day of school. You can’t cheat this teacher. No way.